If you’ve been working in your WordPress dashboard recently (and I know you all have been), you might have seen red alerts and notices about upgrading to PHP 7.2 by the end of 2018. Upgrade, schmupgrade, amiright? Nope, not this time. Upgrading to PHP 7.2 is a must-do. Read on for why. PHP is the code that WordPress websites are built on, and its acronym origin story is actually entertaining: In the beginning it meant Personal Home Page Tools, but now stands for PHP: Hypertext Preprocessor, according to WhatIs.com. Personally, I think the original name made more sense. If you have a WordPress home page, your site starts and ends with PHP code. Why do I need to update it? Because the PHP your site is running may be dying, quite literally. And dead, unsupported software is like swiss cheese for malware, hacks, link hijacking and worse. WordPress sites on PHP 5.6 run about half as fast as sites running PHP 7.2. And come Dec. 31, 2018, PHP 5.6 will enter End of Support. This is a tech term that literally means, “we’re not going to support that code anymore.” It get slapped on code languages when updates are so substantial, and patch such significant holes that running (and supporting) the former version becomes counterintuitive. While upgrading may be a pain you didn’t plan for this month, the good news is that if you’re in the need-to-do-it boat (i.e. if your site is running PHP 5.6 still), your WordPress site will enjoy significant speed improvements. According to my preferred host, WPEngine, most sites in testing “experienced up to 40% faster page speed, as well as greater memory efficiency, upon upgrade.” WPEngine feels so strongly about it that they’ll force upgrade or boot sites off of their server who don’t comply by March 2019. Not sure which version of PHP your site is running right now? Ask your developer, ask your hosting company, or look in your hosting control panel. If it’s PHP 5.6 – act now, do not delay. If your WordPress site is running PHP 7 but not yet PHP 7.2, you have some time, but you need a plan. Reach out if you need help, don’t wait until it’s too late. The WP/SS Client Area was built for you. If you host your WordPress site with WP/SS, this is your one-stop-shop for making the most of your WordPress maintenance plan. And today I’m sharing a revised and refreshed guide to our Client Area, to help you get faster, more efficient help with your WordPress website. I created WP/SS because I want to make it easy to have a website that actually works. I’ve iterated my process over a decade-plus of working with site owners to support their online marketing efforts. And I’ve built a team to make sure that each of you has access to us when you need it. So go grab that guide, give it a good read, and log in to the Client Area to see what’s in store for you. And if you’re still confused, don’t panic. Just request a call. We’ll be happy to go over it together with you, and discuss how you can make the most of your WordPress maintenance plan. I’m also proud to introduce the newest member of the WPSS team, Liliane Sklenarik, or Lil. When you open a ticket in the WPSS Client Area or by emailing support@wpsuperservice.com, Lil is the first set of eyes that will see that ticket, and she’ll make sure it gets routed to the right person on my team for the fastest resolution. Read below to learn more about Lil, and please join me in welcoming her aboard! We are happy to announce the newest addition to our team – Liliane Sklenarik (or Lil for short). Lil will be manning our Help Desk. She comes to us with a colorful skill set. Starting out as a member of a TV crew in Rochester, NY – she learned the value of being a “team player”. Her engineering background led her to Massachusetts where she built guitar amplifiers (Aerosmith owns one of them!) and then computers. With her great attention to detail she transitioned into Process Documentation Engineering – a fancy way of saying “make it run smoothly and efficiently and document how you do it”. Her last job as an engineer was at EMC. Just to change things up a bit, she went back to school for Massage Therapy. Figuring this would be a side gig, she never expected that it would become her full time career until she got laid off from EMC as she was graduating form Bancroft School of Massage Therapy. She launched into her own business and had a successful 16 years giving therapeutic deep tissue massage. She learned an awful lot about being a sole entrepreneur and all the joys and frustrations that come with it. Time took it’s toll on her hands. She retired from her massage business to save her hands for her other passion – Quilting. A hobby for 30+ years, she started her 2nd business, KaleidoQuilt, making and selling quilt art. This business is still viable but not the money maker she had hoped it would be. Lil found herself looking for a fulfilling position in a “behind the scenes” role where all of her talents could be utilized. WPSS is happy to have found Lil. Her attention to detail, knowledge of web site design (having designed all her business web sites) and documentation skills will enable her to handle the Help Desk/Trouble Tickets and free up some needed time for other team members to do what they do best (support the clients). As a team player and fellow entrepreneur, she “gets” where the clients are coming from and will be able to assist in getting their concerns and questions answered in a timely fashion. Please welcome Lil Sklenarik to our team! Reach Lil directly at oncall@wpsuperservice.com. Also check out Kalidoquilt. Do you want a better website but don’t know where to start? At WPSS, we clarify the code to help you make your website shine. And we’re passionate about your helping your business do more online. That’s why we created today’s freebie – 5 quick & easy ways to have a better website. It’s full of actionable items you can put into place today on your website to get more visitors and more results. Because the secret to online marketing success is that there is no secret. Anyone can do it, you just need to know the nuts & bolts. The best WP plugins can provide a magical experience – add features and functions to your WordPress site with just the click of a button. And the WordPress plugin repository offers a seemingly endless treasure trove of options to extend your WordPress website and create a better experience for your users. Need help setting up your SEO? There’s a plugin for that. Want to feed your latest Instagram posts into your footer? Just search for a plugins, install and activate, right? Well, not so fast. Not all WP plugins are healthy for your WordPress site, and too many “junky” plugins can really slow things down (beware the yucky WP plugin bloat). It’s important to pick your WP plugins wisely, because some can really hurt your site. They’re snippets of code authored by strangers, after all. The open source community that created and grew WordPress is largely wonderful, but it does require a roadmap. When was the plugin last updated? If it’s been more than 4 months or so, that might be a sign no one is manning the controls or keeping it up-to-date. How many support tickets are there? Has the plugin developer been replying? It’s always wisest to choose plugins that clearly have a team behind them, paying attention to the ever-changing security and code landscape. Does it have a good star rating? Plugins in the WordPress plugin repository are rated, just like restaurants on Yelp. Click through to read the issues reported by the best and worst reviewers just like you might before buying an Amazon mattress. Can it be accomplished without a plugin? The fastest sites are the leanest, and the web loves speed. Your site visitors are giving you 15 seconds, max. They don’t want to wait for a splashy graphics show with music – they just want you and what you have to offer. Want to schedule a time to chat? If you don't yet have a website, please share a link to a social media profile or some other online representation of your business or brand. Where are you in the planning process for your new site? Where is your site currently hosted? Why do you want a WordPress website? Who manages your current site? You can change your mind at any time by clicking the unsubscribe link in the footer of any email you receive from us, or by contacting my support team at support@wpsuperservice.com. I will always treat your data and privacy with respect. No, we’re not talking about centuries-old printing presses. Gutenberg, the new WordPress page editing format, is coming, and it promises to live up to its name. It’s different than TinyMCE, the WP editor we’re all used to. We break down the differences here. WordPress is the most flexible web publishing platform ever, and developer skill for it is plentiful. However, that flexibility comes at a price. To make the most out of content layout and styling, at least basic familiarity with the rudiments of code (HTML and CSS) is required. This is an inherent limitation of TinyMCE, the name of the current WordPress content editor. Gutenberg is attempting to address that exact issue: to allow publishers and editors with no code familiarity to create more sophisticated layouts and styling for their content. What is WordPress 5.0 and why is it important? WordPress 5.0 will change the way we update support websites, but with a lot more creative possibilities. More than just a milestone release, Gutenberg (the name of the new 5.0 version of WordPress) represents major multiple shifts, rather than just updates. Initially scheduled to release in May 2018, the release date was pushed back, and we don’t yet know the exact date. Here at WPSS we remain vigilant, while we also contribute to the community-driven development cycle. TinyMCE is a free-to-use “what you see is what you get” (WYSIWYG) HTML content editor. Although used by other web platforms like Joomla, Drupal, Blogger, it is best known as the long-time content editor for WordPress. As the current version of WordPress, TinyMCE’s output is highly integrated into various WordPress functions, making it a key component of the whole platform. Instead, with Gutenberg, you create blocks for your content. Do you need to display a paragraph of text? Create a block for it! Do you want to show your latest Twitter post? There’s a block for that, too. You get the picture. Your theme can even include custom blocks authored just for you, and made available in Gutenberg, whenever you need it. Right now, Gutenberg already has a large number of different types of blocks and 30+ embeds. Publishing is still quite a simple matter. But it’s easier to understand when you’re hands-on. This is the most controversial part, in our opinion. The majority of the community is in agreement that Gutenberg is a bold step away from what’s currently in place. A smaller, yet still significant portion of that community also agrees that it’s not completely mature. As far as we can see, it’s coming—mature or not. Therefore we recommend that for now we leave our existing sites at 4.9, the most recent prior release. For new sites, let’s jump on 5.0 and start building with it. The only way we can become proficient at it is to actually use it. That way, we are ahead of the curve and can use it with confidence without sacrificing the stability for our existing customers. While our developers at WPSuperService are at the forefront of WordPress 5.0, Gutenberg and other related updates, we do not intend to deploy these updates to live websites immediately. While we have the greatest confidence in the quality of software released by WordPress.org, we expect the first few months after this release to present many questions. Our intention is to keep ourselves intimately familiar with all the intricacies of this milestone update, experimenting and practicing with internal projects so we can continue to work at the same reliability and usefulness standards that our clients depend upon. When we are positive that major bugs and issues have been shaken out, we will begin to cautiously rolling out the update to our clients’ website/s. How will it affect my site/s? 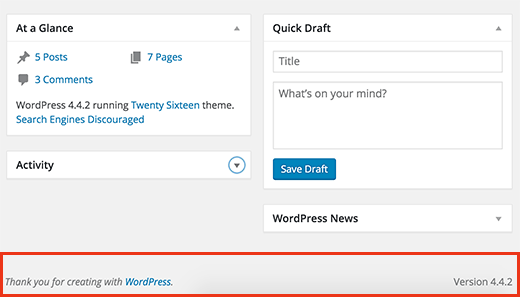 This update will affect a significant portion of the WordPress workflow that you may be used to at this point. So before we update your site, we will guide you through a simple preview. And if you feel comfortable with the new workflow and the many benefits of Gutenberg, we’ll proceed with the update. Change is good! All of the sites we host are backed up daily, as part of our regular operating procedure. Prior to updating your site to WP 5.0, we will take a real-time backup of it. If any issues come up that cannot be fixed through our troubleshooting methods, we will be able to restore your site to its most recent working state. Due to the number of critically important components of the platform that are affected by this update, there is a high likelihood that websites built on a WordPress version more than two milestones in the past (December 2009 or earlier) will break in a way that cannot be fixed by simple troubleshooting methods. Because of this, we’ll do all updating on a staging or development environment away from your live website. This means that we can implement the update, run tests, and make necessary changes without affecting the functionality of your live website. We will provide you with secure and exclusive access to this test environment. You can try it out and share feedback, so the live site has everything it needs. Ready to switch – or just thinking about it? Contact us today. Here are some great references about WordPress 5.0 and Gutenberg. Dig in! At WPSuperService, we take data protection very seriously. We have spent many hours researching the regulations and updating our websites to comply with the GDPR and protect our customers’ data before the law took effect on May 25. We strongly recommend your site comply as well. Does my site need to comply? If you collect or use personal data (emails, names, addresses, etc. ), or if the software your site uses does, your website needs to be in compliance with the GDPR. Whether you expect site visitors who are EU residents or not. How can I tell if my site collects data? Do you have Google Analytics tracking traffic to your site? Do you have a contact form or newsletter signup on your site? Does your site have surveys or ask people to submit their email address? If you answered yes to any of the above, your site collects data. WPSuperService is expert at ensuring compliance on WordPress sites and is ready to help with a handy GDPR for WordPress service. Not sure still if you need to take the plunge? Are you ready to take your WordPress site to the next level? I’m Kate, and I know WordPress inside-out. I’ve been living and breathing WordPress tricks and trends since 2006, and I love to talk shop. Take a minute and think about your website… When someone asks about your services or how to learn more, are you proud to send them to your site? Or do you cringe when it’s mentioned, maybe adding, “that’s my site but don’t judge – I’m working on making it better, I just can’t find the time…“? Don’t worry – I’ve been there. I hear you. And I want to help. I have built a handy form for business owners who are looking for help with their website or online marketing efforts. Use this short questionnaire to tell me more about your needs and how you think I might be able to help. The more info you share, the better I can help you achieve your vision for your web presence. If it sounds like a good fit, I’ll reach out to schedule a call to talk next steps.